I have to take full responsibility for our cookie debacle. Shelley and I had like six recipes planned for the one day at my Gram’s. That was way too many to begin with, so I was trying to be efficient and speed things up a bit. To be “helpful” I combined all the wet ingredients in one bowl and dry in another bowl. Duh. You don’t do that with cookies. There’s a science to baking, and creaming the butter with the sugar is done for a reason. To add to that, we used a few old ingredients. I was raised to believe that expiration dates are merely a suggestion. After all of that, the dough was still easy to work with, we just didn’t have a solid plan on how to shape them. The first few batches looked like rocks. 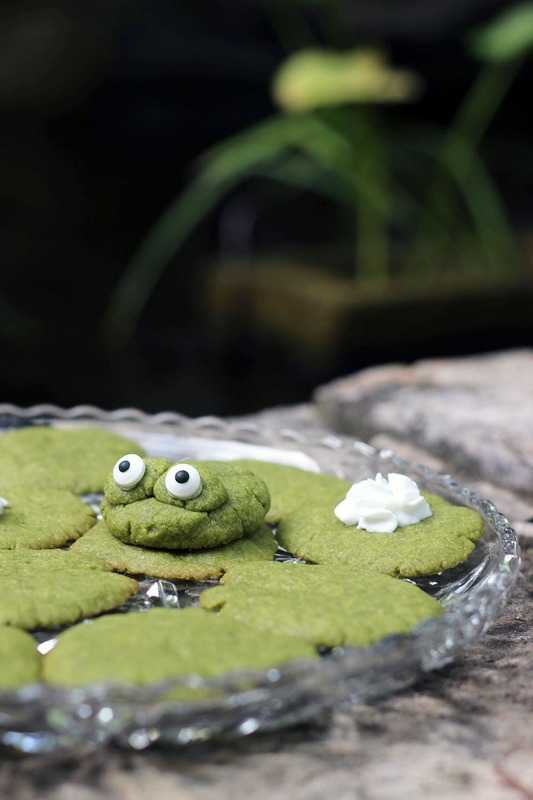 By luck, Shelley shaped one into something resembling a lily pad. 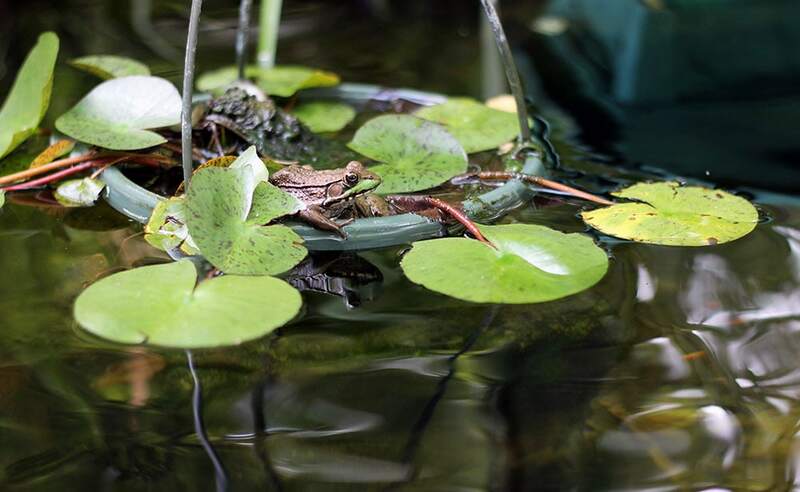 Since my Grandparents have an awesome pond with real lily pads and frogs, it was quite serendipitous. As I mentioned in our Matcha ice cream recipe, not everyone loves the flavor. 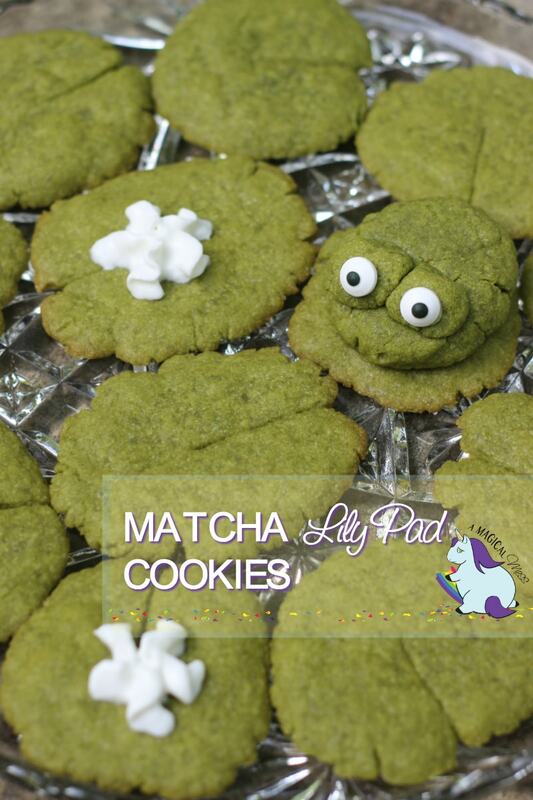 I thought the Matcha green tea cookies tasted super yummy, but possibly a tad too sweet. Shelley said they taste too green, my Gram thought they weren’t sweet enough, and Mike said they taste like Christmas. Yes, a holiday as a flavor, that’s so helpful. So, it comes down to a personal preference and to how much you like Matcha. Another thing worth mentioning is that I failed to restock my Matcha powder while preparing for this day of baking. I normally buy this Matcha from Amazon for $25. Since we didn’t have time to wait for shipping, we bought some from Whole Foods. The teeniest bag was $18. Big mistake. In a large mixing bowl, cream the butter and sugar together. In another bowl, mix together the flour, baking powder, Matcha powder, and salt. Gradually stir the dry ingredients into the butter mixture. Shape the dough into desired shapes. If you choose to roll out the dough, do so on a lightly floured surface. We shaped our lily pads by hand. Bake cookies 9-10 minutes and let cool completely before serving. 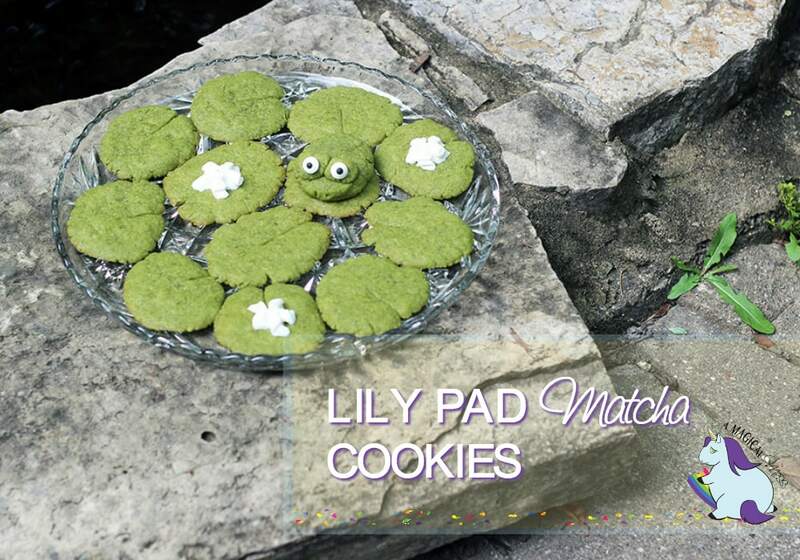 Be sure to visit our other Matcha recipes, too! 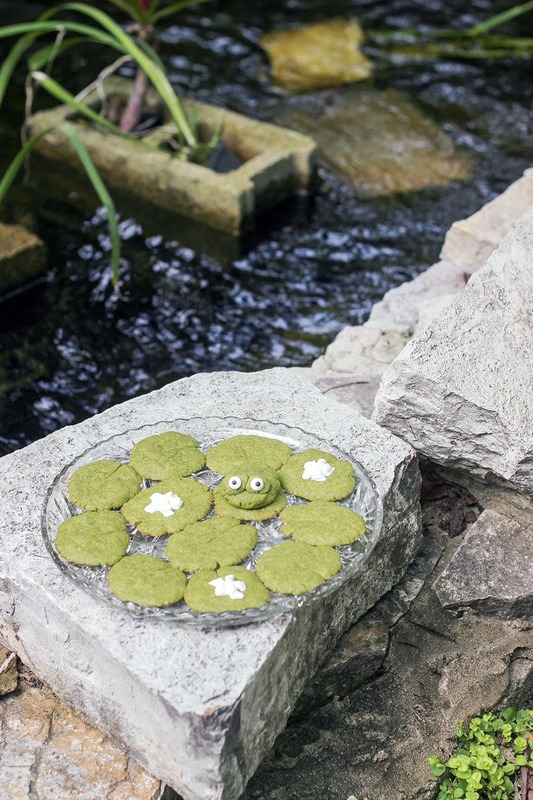 Have you tried Matcha green tea cookies? Do you think you’d like them? They taste like Christmas, lol? When I heard that I thought ‘oh, they must have cinnamon or ginger or something’ —but nope, lol. Well, the frog is a cute touch! And it sounds like they would be pretty good to me. I’ve never tried cooking with matcha. Not sure if I’d like it. These are really cute. 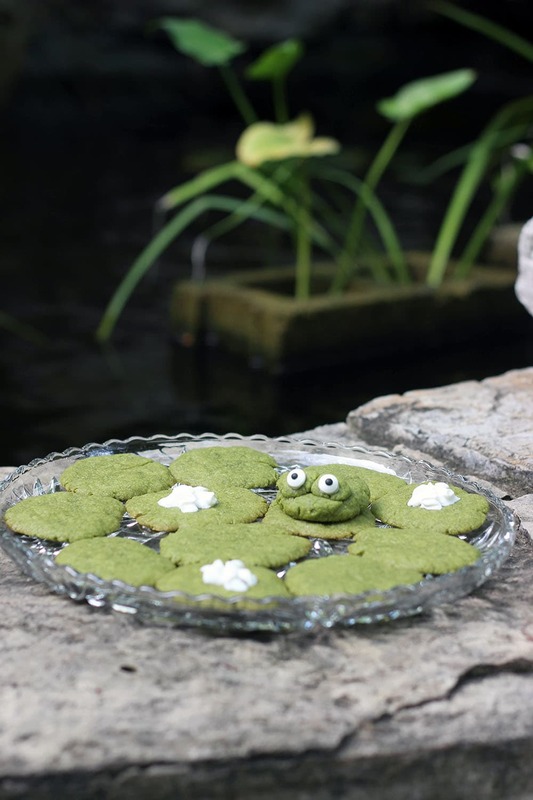 I never had Matcha Green Tea Cookies before but would love to try them. i love the idea of these cookies. 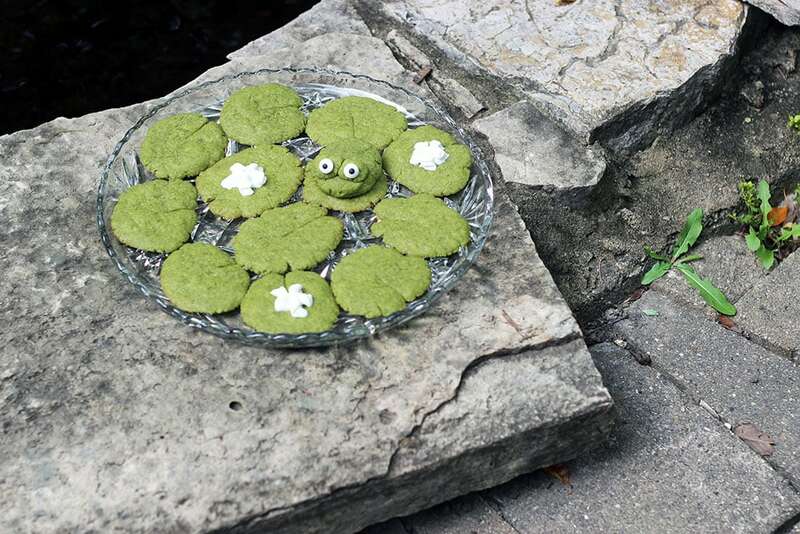 it seems that matcha is making a big head turner in food. i love the landscape with these cookies.